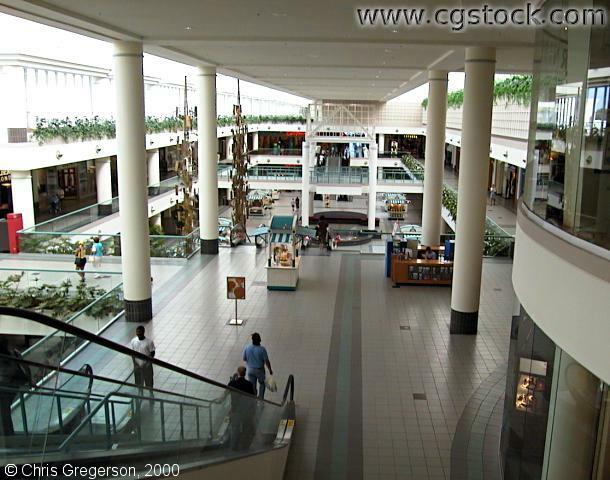 You are on the third floor of the Southdale Shopping Center in Edina. This is the "center court". Mervin's of California, one of the anchor stores, is at the far end of this courtyard. Marshall Fields(formerly Daytons) is behind you. The third anchor store, JCPenny, is down a hall to the left.